South Korean actress and model Song Ji-hyo is coming to Malaysia again for the launch of Samsung’s newest gadget, the Samsung Galaxy Note 8. The launch will take place next Thursday, on 21 September 2017 at Pavilion Kuala Lumpur, from 10 to 1pm, so don’t miss your chance to catch “Running Man’s” Goddess of Luck! Of course, the 36-year-old actress is no stranger to Malaysia, she was here last year’s October during the launch of Shoopen at Fahrenheit88, and she also recently came to the country alongside her “Running Man” cast during the show’s tour in Malaysia back in April. 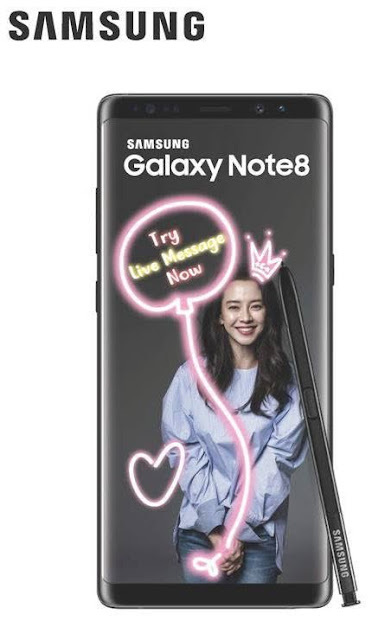 With Apple recently introduced its new iPhone X, 8 and 8 Plus, Samsung is also upping their games with its brand new Galaxy Note 8, and let’s just hope that the new phone will be able to right the major wrongs of the recalled Note 7.